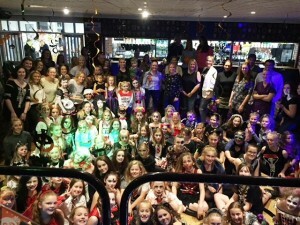 Chester Netball Club hosted a Halloween party for their junior players and the girls turned out in style! The girls had a disco, face-painting, balloon popping, photo booth, cake sale and lots of other activities to take part in. Over 70 junior members attended and had a fantastic time and Abbie H from the U10′s was crowned ‘best fancy dress’. Thanks to Danielle Evans and the social events team for organising. Keep an eye out for the next social event. Check out the junior gallery for lots of pictures of the evening.